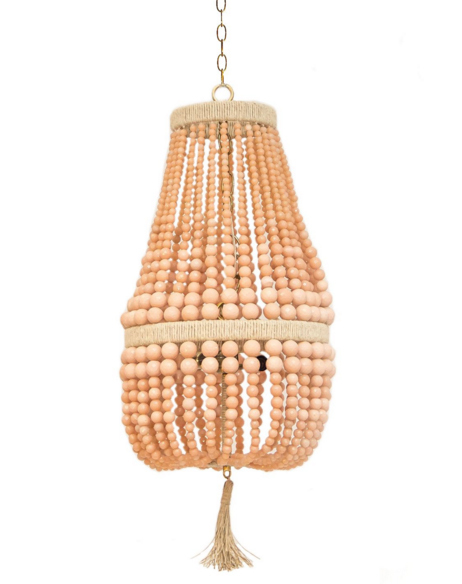 The Malibu Up Chandelier is a seriously stunning chandelier handcrafted in the low country! This fixture uses two 60 watt, type B bulbs and features brass or nickel hardware. It is hard wired and comes with 3 ft of chain and canopy included. 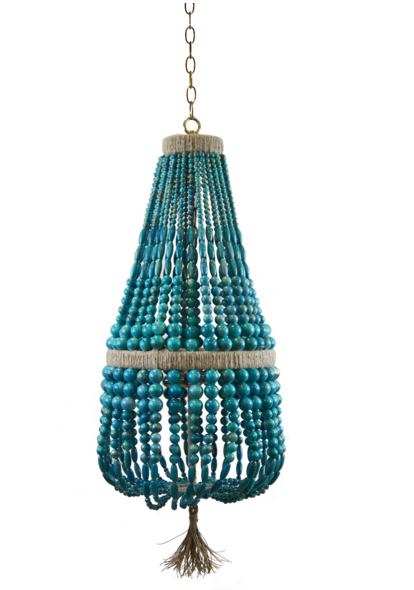 These chandeliers shine with quality craftsmanship, bold colors and distinct form, embodying the Art Deco era in modern fashion. Comes from our collection of elegantly sustainable products that push the style envelope with lighting that utilizes unexpected recycled materials such as hemp, organic cotton and beads.